Conclusion | Are Earbuds Waterproof? If you’re a swimmer or even someone who likes to dance under the rain, you may be tempted to take out your headphones in wet weather. Perhaps you even ask yourself, "are earbuds waterproof?" Most times, trying to listen to music in or around the water is less than wise, and a choice we'll live to regret. For instance, your run-of-the-mill Apple headphone won’t last very long in water. 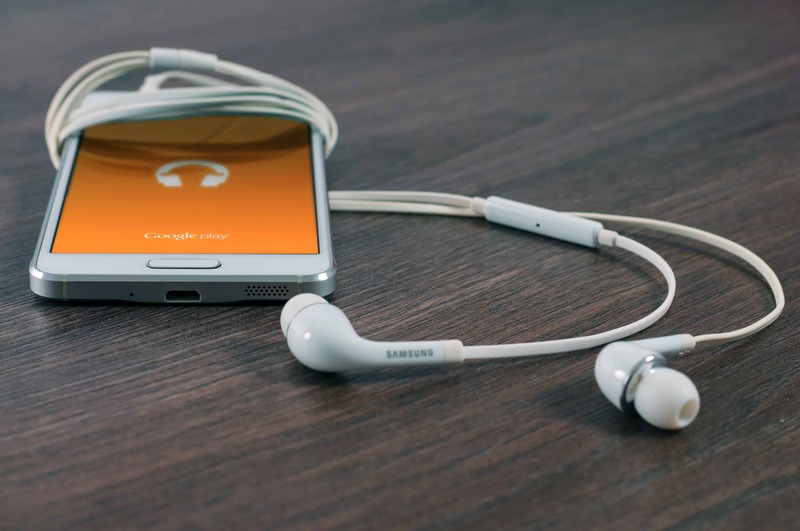 However, there are now solutions that ensure you can take music with you wherever you go. Look no further than waterproof headphones. Waterproof headphones are plug into any music storage device. Although, most of them malfunctions when soak in water. So, if you’re going into the water, consider having a waterproof MP3 player. Made from waterproof plastic with silicon earpieces, headphones are available from a wide range of brands. No matter what your needs are, there is a slew of options out there. 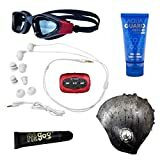 Whether you want to go diving or just merely finding the perfect size for your ears, there is a company that caters to those needs. Regardless of how often you feel the need to listen to music in wet conditions, you can't go wrong with a pair of waterproof headphones. They are made to be more durable and will outperform a normal pair of headphones. Unlike regular headphones, waterproof ones are specially crafted to work in depths of multiple feet of water. Since pools make hearing a little more difficult, waterproof headphones have an excellent sound quality that can combat the whooshing of water moving past your ears. You can also hear the amazing sound quality in dry conditions. Not only do they sound better than conventional earbuds, but they also last much longer. This ensures that you won’t have to keep visiting a local convenience store for a new pair. Waterproof headphones are made to withstand even the harshest of environments and will not let you down. The most obvious reason for waterproof headphones is being able to listen to your favorite tunes in the pool. 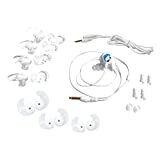 Whether you want to put on some relaxing music as you float around, or more intense beats as you swim laps or complete a training session, waterproof headphones are here for you. When picking out headphones for swimming, be sure to check how many meters of water each pair can withstand. Wearing waterproof headphones while working out on land may sound silly, but isn't that ridiculous. This is the best way to ensure your headphones will be sweat-proof as you jog down the street on a hot day. You won’t end up with the odd sound quality or ruined headphones from your work out or the occasional surprise rain shower. Speaking of, maybe you aren’t the type of person to hide from the rain. For those who are committed, a morning jog usually happens rain-or-shine. Waterproof headphones won’t let you down just because the sun isn’t out. Not only do they keep the water out, but they often have better devices for latching onto the ear. 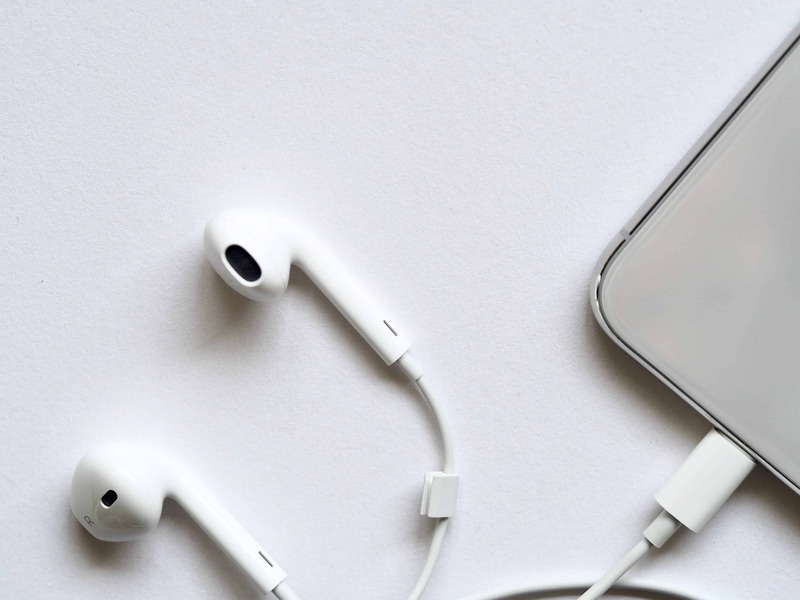 This way, a little rain won’t loosen the grip between your ears and headphones, which can also protect you from an uncomfortable ear infection. Some of us like to groove out in the shower, and waterproof headphones will help ensure your roommates stay asleep when you take your early morning or late-night showers. It is a great way to start the morning and a relaxing way to end the night. It is important for you to check on reliable product and customer reviews before finalizing your cart. So after you’ve decided you might need a pair of waterproof headphones, now it's time to see which option is best for you. We're here to help. The ​100% Waterproof Stream MP3 Music Player with Bluetooth and Underwater Headphones by H2O Audio is the best way to go. It can hold 4GB worth of music, audiobooks, and podcasts, and comes with an incredible set of headphones. Not only do they have peak audio quality but also have a neckband to ensure they stay on in the pool. If you do decide to take a swim, your MP3 Player will be safe in up to two meters of water and last up to twelve hours between charges. 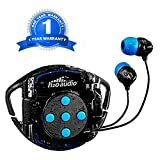 Swimbuds Sport Waterproof Earbuds is among the most popular waterproof headphones on the market. So if you trust consumers' opinions, these are the ones for you. 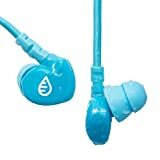 At $70, they are extremely comfortable and work hard to keep water out of your ears. These earbuds work in up to ten feet of water. They are also very reminiscent of your average pair of headphones, without all the extra unnecessary bells and whistles. The H20 Audio Waterproof Earbuds is the way to go if you’re looking for a cheap and versatile pair. What really sets this pair apart is that you can customize them to suit your ears. 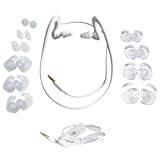 They come with five sets of ear pieces to make sure you’ll find the perfect match for ultimate comfort. The H20 Audio Waterproof Earbuds have an intense bass sound that will keep your workouts pumping in up to twelve feet of water. The WaterfiSwimActive Waterproof Earbuds has the HD20 Audio Waterproof Earbuds beat on price, with this pair coming in at just $19.95. While they don’t have the blaring base, they do come with four different pairs of earbuds. Other perks include a carrying case and a decently long cord, to ensure you won't become wrapped around your headphones while swimming. If you’re looking for the Phelps of waterproof headphones, the HydroActive Neckband Waterproof Earbuds is a perfect choice. They retail for $90, but are very user-friendly. These headphones feature an around-the-neck design that will stay out of your way while you move. This pair works well with a swim cap and goggles and can withstand up to ten feet of water. The bonus: they come with a super sturdy case. Swimbuds Fit Waterproof Earbuds is the midrange option for this market. They have a standard headphone look, but they work in up to ten feet of water. These are a good pair of waterproof headphones if you enjoy an ear hook earpiece. They also come with an extension cord, if you like to swim with a longer cord, with it further away from your body. Many swimmers find this pair a great choice for when they do flips. This pair may cost $80, but the Swimbuds Flex Waterproof Earbuds is backed by a 1-year warranty, which is perfect for those who are skeptical about earbuds being waterproof. These come with hooked earpieces, designed for comfort and a stronghold. They also come with several size options for your perfect earpiece. Now that you've chosen a pair, you will need to know how to use your new waterproof earbuds. The most important thing to remember before you hop in the pool is that waterproof headphones need a waterproof MP3 player. This is crucial for having a good, safe experience overall. Once you have that covered, plug your headphones into your device, and you’re ready to go. There are a few tips that can improve your experience as well. Some people like to wrap their headphone cords around their goggles to minimize drag. Others prefer to buy a pair with an extension cord, so there is no need to worry about the headphones being ripped out of their ears. Lastly, always remember to read the instructions, even if you think you know how to use headphones. Many waterproof headphones have unique earpieces to seal out water, and you want to make sure you’re using them correctly. If you are a swimmer, waterproof headphones are a complete game changer. Jamming out to your favorite songs in the pool will have you more energized for a better workout. If you’re on vacation, you will no longer worry about getting your book wet as you float around catching rays. With waterproof headphones, you’ll be able to listen to an audiobook and hold your favorite beach-side beverage on a pink flamingo float. Even if you’re not a fan of the pool, waterproof headphones are an all-around amazing product. They’ll prove themselves sturdier and better than many of their water-sensitive counterparts. Furthermore, you will never have to worry about losing a big investment to a little water. They’ll serve you well when you sweat and in either heavy or light rain. Plus, you may discover things you never knew you loved, like jamming out in the shower or amping yourself up for a pool-based workout. These products are designed for ease and comfort and augment the smallest of tasks. With so many varieties on the market, you’ll be sure to find a pair that suits your price range, ear shape, and water resistance needs. Many brands take safety into accounts with perks like carrying cases and warranties, which you can rely on to make sure you won’t regret your purchase. Never again will you have to ask, are earbuds waterproof? You're all set for success.